Design for manufacturability (also know as design for manufacturing) and assembly (DFM/DFA) is the application of process, method and art of creating cost effective product designs. The design stage is very important and ultimately influential in the end-product cost, quality, and time to market. 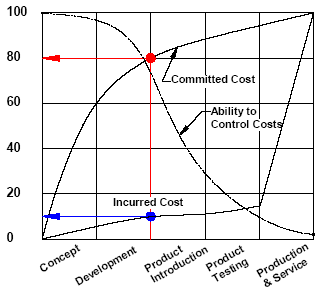 Overall product lifecycle characteristics are committed at design stage. The product design is not just based on good design or engineering factors but it should consider the through-put or manufacturing as well. Concurrent engineering practices and integration. Design & manufacturing processes review, analysis and cost reduction. Component manufacturing process selection (MPS). Component design optimization for manufacturing. Design for Assembly (DFA) practices and analysis. Analysis, optimization methods, and functional tradeoffs techniques. All in-house DFM seminars and workshops are customized to organizational end item products as determined through interviews and surveys. This is how we ensure the best training program and value for our customers. Additionally, culture and process practices of some of the most successful organizations in the world are presented and discussed. This course is recommended for anyone involved in product design, manufacturing engineering, and manufacturing management. This includes drafters, designers, engineers, manufacturing engineers, process engineers, quality engineers, mechanical engineers and others who are involved in design, engineering and manufacturing activity. "For what I thought was going to be a boring seminar I sure got a lot out of the training!" "This class was helpful for evaluating and establishing component design guidelines." "Good job at changing the agenda on the fly and getting us what we needed - thanks again." "I hope you enjoyed Japan and had a good flight back to the US. I loved your DFM training last week. The class will help us get the new DFM role started here at SKK." 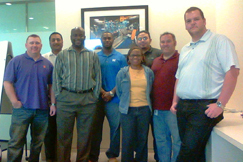 "The instructor provided great detail explanation of individual processes. The assembly design optimization workshop was most helpful"
FREE ASME Y14.5 GD&T Knowledge Test - Test your GD&T knowledge for free! Registration required.